Despite recent rainfall, more than half of Missouri is still in a drought, hitting hard at one of the state’s key economic engines: agriculture. Missouri hay — the primary feed for livestock — has hit its lowest production levels in 30 years, according to the U.S. Department of Agriculture. Ideally, each acre of pasture produces two tons of hay a year, which would be two of those large circular rolls often seen in farm fields. In 1988, the average acre in Missouri only yielded 1.2 tons, and this year it’s been 1.5 tons. Missouri is experiencing one of its worst droughts in decades, and state officials are implementing some emergency measures to help ease the pain. Gov. Mike Parson, three of his Cabinet members, and a group of agriculture leaders announced Monday that farmers and ranchers can now get hay and water from several state-owned properties. 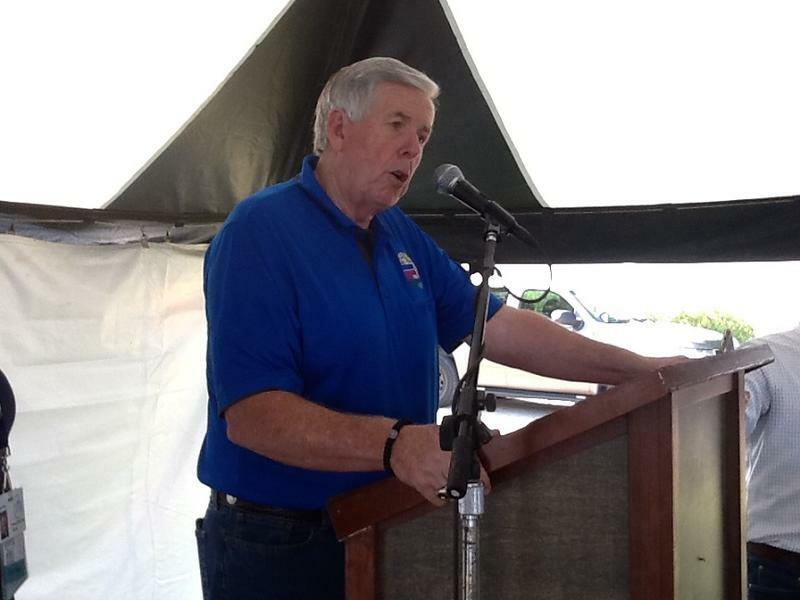 Although Mike Parson has been a regular fixture at the Missouri State Fair for several years, the 2018 fair is his first as governor of the state. And he spent much of Thursday preaching the need to improve infrastructure to help the state’s agriculture industry. Updated at 8:40 p.m. July 19 to correct numbers in 2nd paragraph —There are few places better to see the effects of an intensifying drought than a hulking, 200-plus-acre complex just off of Interstate 44 in southwest Missouri. 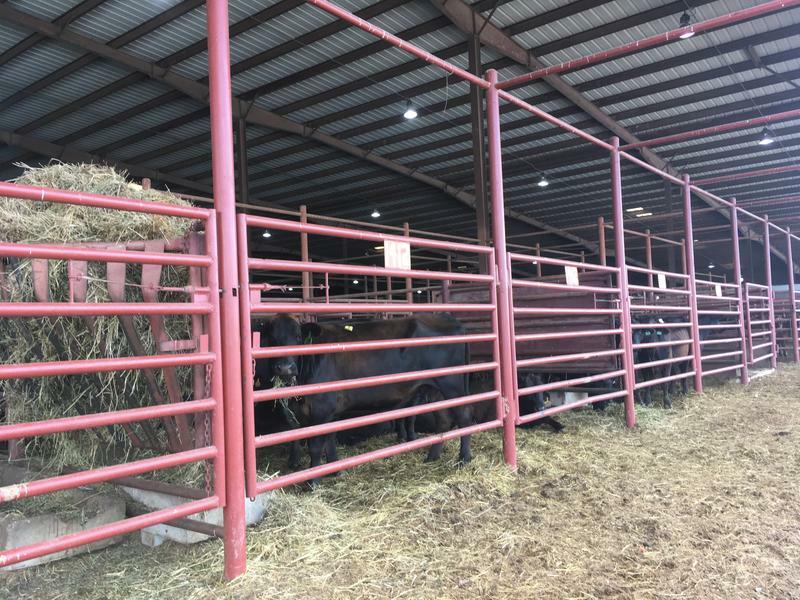 This is the Joplin Regional Stockyards, one of the biggest in the country, selling more than 430,000 head of cattle in 2017 alone. 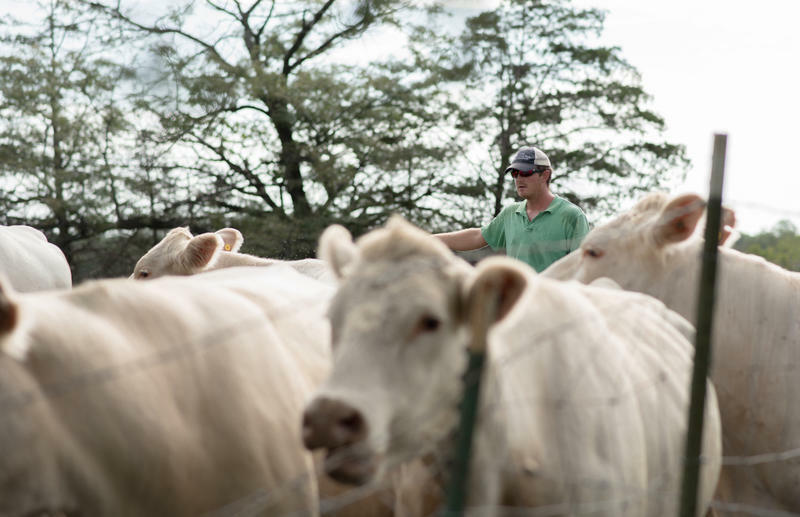 Usually, they’ll have 800 to 900 cows on the block at weekly Wednesday sales. On July 11, they had double that. Western Illinois might be close to the Mississippi and Illinois rivers, but it’s the driest part of the state this year. St. Louis' weather forecast this week is rain, rain and more rain, yet that's good news for a region that's in the midst of a drought. National Weather Service meteorologist Jayson Gosselin says a dry weather pattern began last summer. He says that dry pattern continued into the fall — typically the wetter part of the year in Missouri — creating moderate to extreme drought throughout the state. "In terms of precipitation deficits since that time, anywhere from 8 to as much as 16 inches below normal, for that six to seven months," Gosselin said. 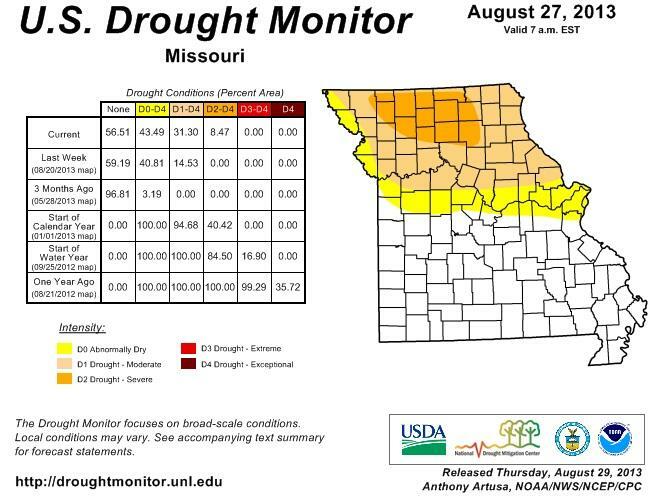 Drought conditions across portions of Missouri are having both a positive and negative effect on crops grown in the Show-Me State. 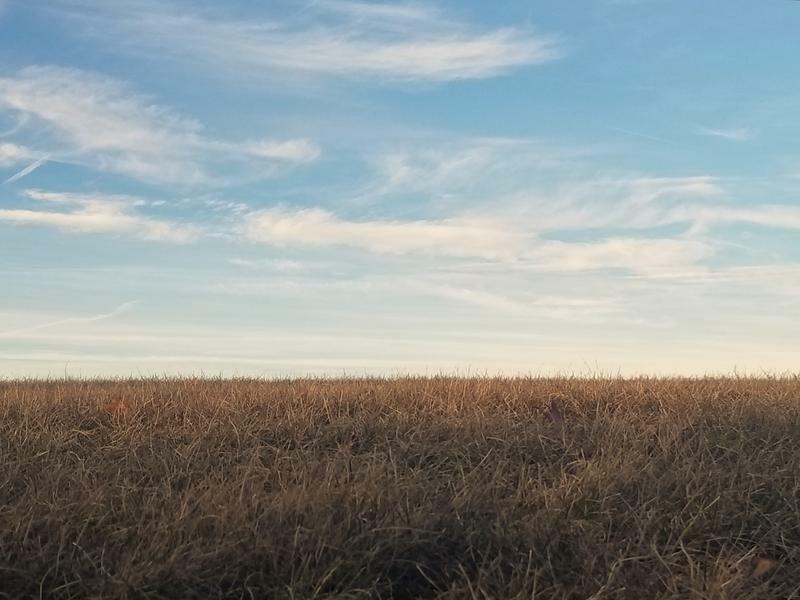 The lack of rain over much of Missouri has not harmed the state's corn crop and is enabling farmers to get heavy equipment into the fields for harvest. This article first appeared in the St. Louis Beacon: When Pat Mulroy, the general manager for the Southern Nevada Water Authority, presented a resource plan to her board in 2000, it showed a half century of clear sailing ahead. Drought conditions have grown in portions of Missouri over the past few weeks, and according to the latest forecast are set to persist through the rest of the year. The long-range seasonal outlook released Thursday calls for drought conditions in northern Missouri to remain in place and possibly intensify through the end of the year. Brian Fuchs is with the National Drought Mitigation Center in Lincoln, Nebraska. He says this week's rainfall may bring short-term relief, but not long-term. Drought conditions are again plaguing the northern half of Missouri, according to the latest U.S. drought monitor report. A large portion of north central Missouri is experiencing severe drought (D2), with most of the rest of northern Missouri in moderate drought (D1). Also, there's a strip of land stretching from St. Louis to Kansas City to northwest of St. Joseph that's classified as abnormally dry (D0), just one step below drought. Anthony Artusa is with NOAA's Climate Prediction Center at the University of Maryland. Missouri's overall drought picture is vastly improved this summer over what it was during last year's extreme heat and dry conditions. 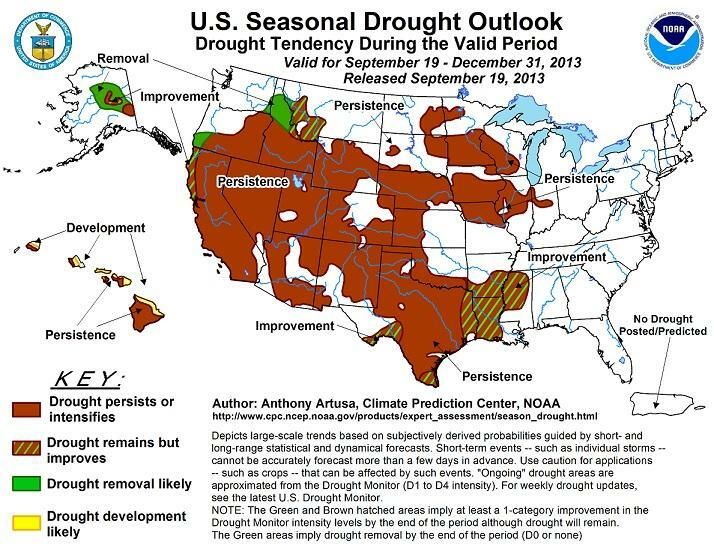 Still, drought remains an immediate threat to portions of the Show-Me State. Mark Fuchs is a hydrologist with the National Weather Service office in St. Louis. 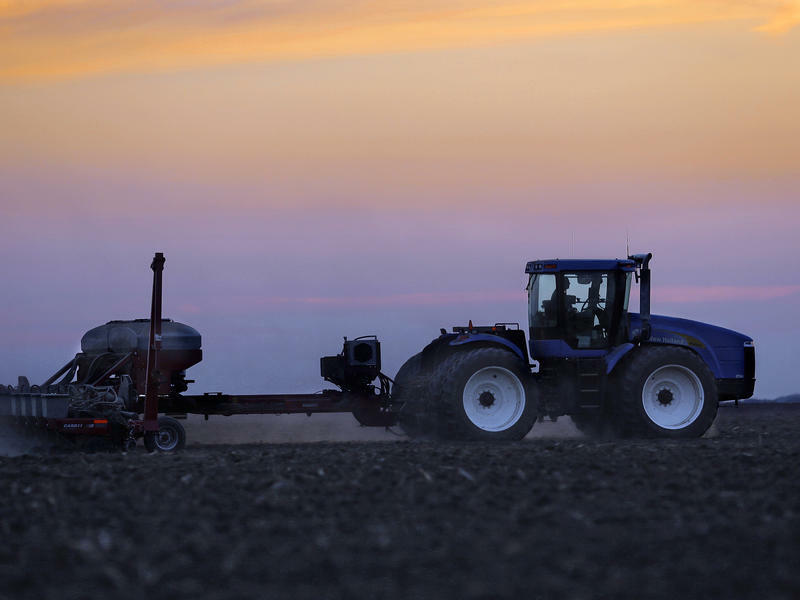 The heavy rains that caused flooding across portions of Missouri this spring have also led to improved soil conditions for crops grown in the Show-Me State. The exceptionally-wet spring did cause delays in getting corn, cotton and soybeans in the ground. But Bob Garino, Missouri Statistician with the U.S. Department of Agriculture's (USDA) state office in Columbia, says conditions are much better than a year ago when 2012's drought and heat wave began to take hold. A pair of bills related to transportation on the inland waterways was introduced in the US House and Senate on Thursday. Illinois Congressman Bill Enyart introduced his first piece of legislation since being sworn into office last January—the Mississippi River Navigation Sustainment Act. Enyart says the bill would give the Army Corps of Engineers authority that it doesn’t currently have, to conduct operations outside of the barge channel. 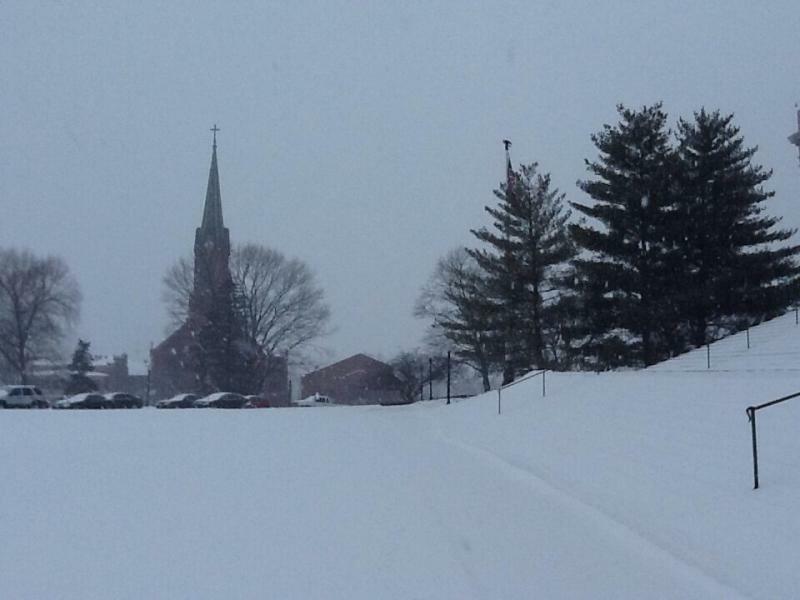 Two rapid-fire snowstorms belted Kansas with more than 2 feet of snow this week. They caused thousands of accidents and all kinds of hardships — but they also produced very broad smiles from some quarters. 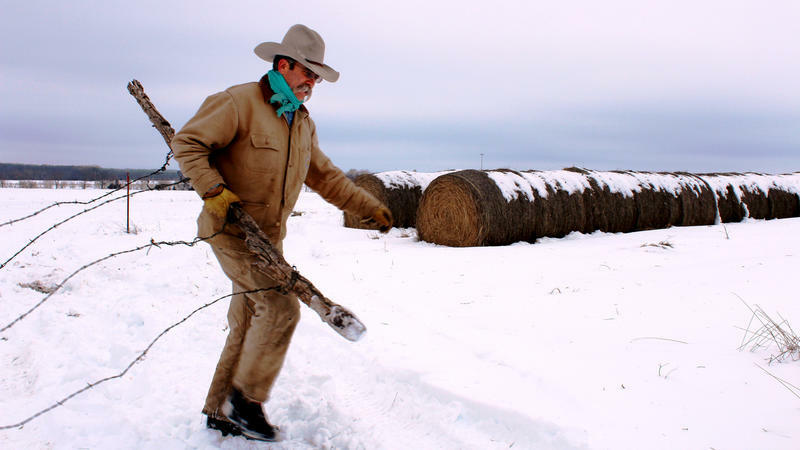 That's because in a place as dry as Kansas has been lately, a blizzard can be a blessing for farmers and ranchers. What a difference just a few weeks makes. 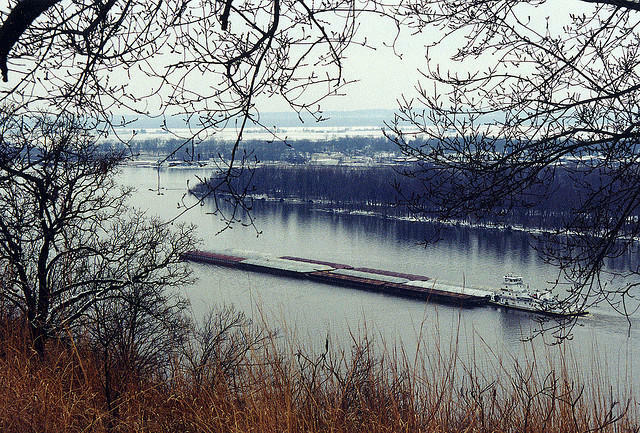 Earlier this year shippers feared that the worst drought in decades would slam the brakes on the billion dollar barge shipping industry, but recent heavy rains and snow have raised water levels on the drought starved Mississippi River. Even though shippers are back to carrying normal loads, American Waterways Operators spokeswoman Ann McCulluh says the industry remains anxious about the future. “You can bet that we will be watching the forecast, watching the water levels very carefully,” McCulluh said. The winter storm that dumped several inches of snow and ice across much of Missouri may bring some short-term relief to the state’s drought conditions. Kelly Smith is Director of Marketing and Commodities for the Missouri Farm Bureau. He says the winter storm arrived on the heels of recent rain events, helping saturate the soil. 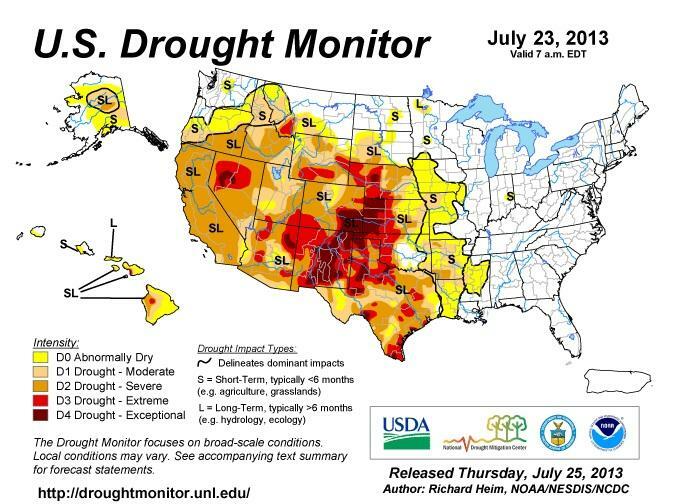 The 2012 drought was among the most extreme the country has seen in recent memory, including the hottest July on record. Climate scientists at the University of Missouri are predicting that the coming summer will be dry, but not as bad as last year. 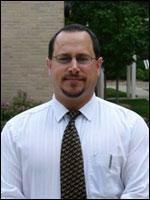 Anthony Lupo is chair of the Department of Soil, Environmental and Atmospheric Sciences. His methodology is based on historical patterns and statistics, not on week-to-week forecasts. Lupo’s prediction for the coming summer offers some good news. 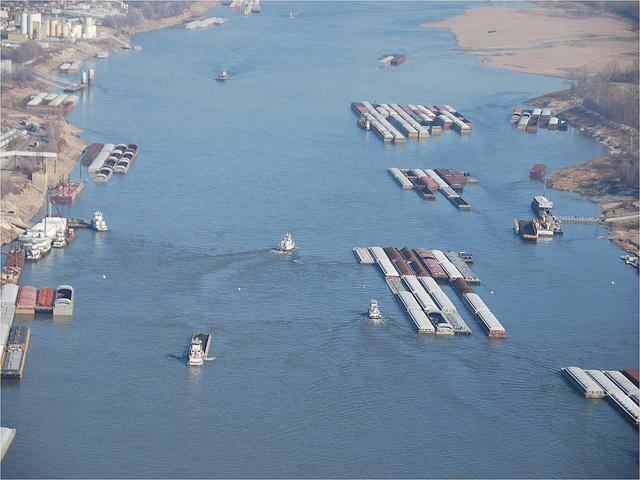 It seems like we’re constantly hearing about how the worst drought in decades is threatening barge shipping on the Mississippi River. One day we’re facing a shutdown, the next day they say commerce will keep rolling on the river. Here’s the latest: The Army Corp of Engineers says it’s done enough work to keep the waterway open until the end of this month. After that, though, no one is making any promises, and that uncertainty is giving the shipping industry a lingering headache and could end up with local companies cutting jobs. The worst U.S. drought in decades sizzled farmland last year and cost Illinois its spot as the nation's second-biggest corn producer. A U.S. Department of Agriculture report on 2012 crops shows that Illinois slumped to fourth among corn-producing states. It was overtaken by Minnesota and Nebraska, while Iowa still heads the pack. 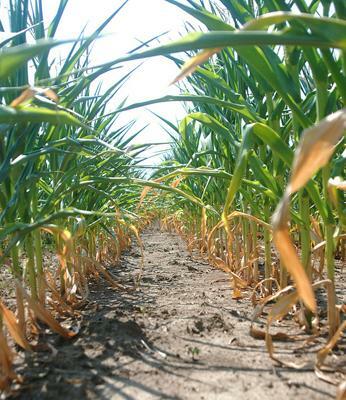 The USDA says Illinois farmers produced 1.3 billion bushels of corn in 2012. That's down from 1.9 billion bushels each of the previous two years.